HomeCallan – The Richmond File: Do You Recognise The Woman? Callan – The Richmond File: Do You Recognise The Woman? Richmond makes contact with two sleeper agents, Dowsett (John Moore) and Norah (Sheila Fay). Dowsett is a radio operator whose job is to ensure that Richmond’s messages are relayed back to Moscow. This is one of the most obvious ways that Do You Recognise The Woman? can be dated to the early 1970’s. Today it would be the matter of a few seconds to send an email to a location anywhere in the world – back then communications were much more limited. Dowsett’s receiver is deliberately not very powerful (the greater its range, the easier it would be for the British to detect it) and they also have to rely a Russian trawler being close at hand. When the trawler is in position it can pick up Dowsett’s Morse message and relay it onto Moscow. This part of the story does have a rather WW2 feel about it, since it appears this type of technology has stayed the same for decades. It’s a frustrating time for Meres, who’s been cooped up in a television detector van for the past week. The van has been reconnoitering the area, constantly on the lookout for any suspect transmissions, but Meres ironically mentions that they’ve achieved very little – except panicking people to rush to the post office to renew their television licences! With it proving difficult to track Richmond down this way, the Section try a different tack. Flo Mayhew (Sarah Lawson) was a Russian spy arrested in the episode Call Me Sir! and both Callan and Hunter believe she can lead them straight to Richmond. Flo is currently in prison and is looking at a sentence of some fourteen years. Callan and Flo had an uneasy relationship in Call Me Sir! (which wasn’t really surprising since Flo was coordinating an attempt on his life) and it continues in this episode. If the radio transmitter used by Dowsett seems like a relic of a different age, then so does the prison where Flo is currently incarcerated. Due to Callan‘s regular use of VT for outside broadcast shooting it’s not clear whether the prison was a well-designed studio set or shot on location. Either way, it has a very bleak and Victorian institutional feel – enhanced by the uniform of the warder (played by Bella Emberg). Hunter and Bishop demonstrate their ability as arch manipulators. They’ve allowed Flo to have a taste of freedom and she’s also been told that she’ll be exchanged for another prisoner (similar to the Callan/Richmond handover in That’ll Be The Day). But after expressing their regret, they inform her that the Americans have asked them not to continue – so she’ll be going back to prison. To have the prospect of freedom suddenly taken away creates the correct psychological atmosphere to enable them to make their intended play – Richmond’s location. If Callan had initially approached her with this request it seems obvious she would have refused. But now, with her hopes raised and dashed, she should be more pliable. Callan’s expression makes it clear that whilst this might be necessary, he doesn’t have to like it. But in Callan nothing can ever be taken for granted and Flo isn’t quite the broken woman she appears to be. She manages to overpower Callan and leaves him handcuffed in the bathroom (much to Meres’ amusement). Flo’s able to make contact with Richmond, but both he and Norah are suspicious – is she now working for the British? The last minute twist that Richmond and Flo have a daughter has all the more impact when he executes her shortly after. Part of him might believe she hadn’t been turned by the Section (as well as the personal regard he felt for her) but his duty to the KGB overrides everything else. 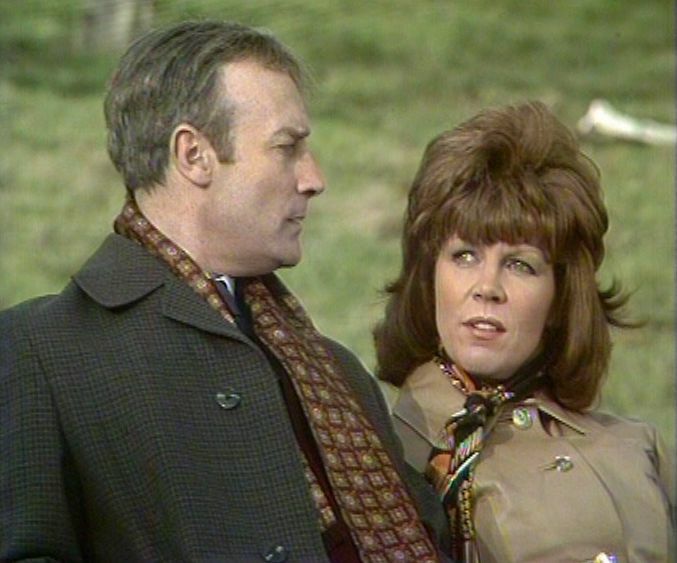 Four characters dominate this episode – Callan/Flo and Richmond/Norah. Given that we later learn of Flo’s links to Richmond, it’s possibly not surprising (and obviously intentional) that Flo tells Callan they have more in common with each other than they do with their respective employers. In some ways the Callan/Flo interaction is similar to the sparring between Callan and Richmond. Both are so steeped in deceit that it’s difficult to know when to believe them – but it’s evident that her death does affect him. In this episode we see a Richmond effortlessly in command (although his ultimate objective is still nebulous). His decisions are questioned by his subordinate Norah though and it’s the tension between them which gives T.P. McKenna’s scenes a certain spark. Do You Recognise The Woman? moves the Callan/Richmond story on, although they don’t actually meet in this one. But there’s a sense that their story is entering its final chapter as we reach the episode A Man Like Me.